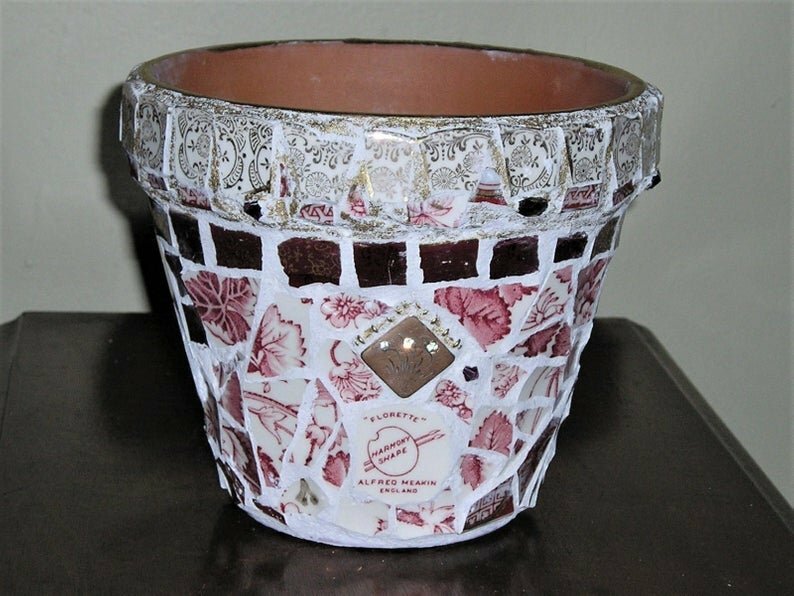 In the manner of true Pique Assiette, the pieces were broken or hand cut to decorate a new Italian terra cotta garden pot. 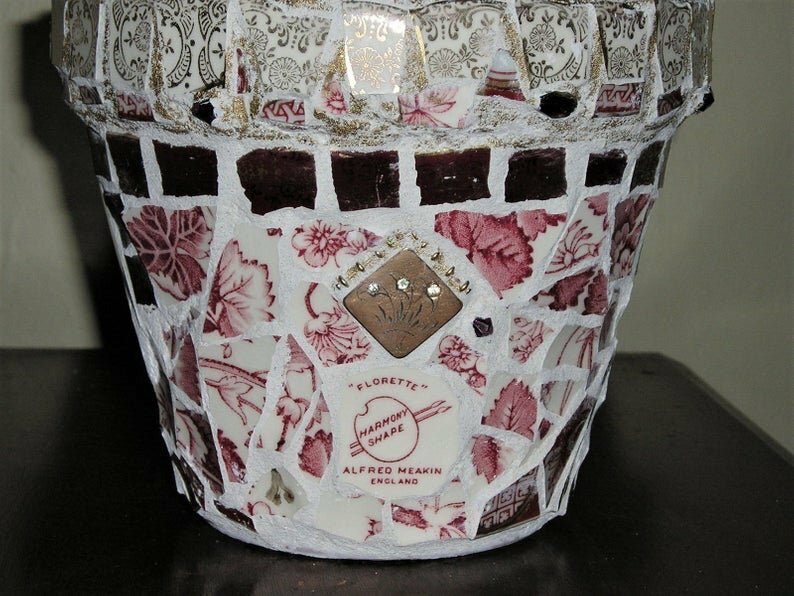 The vintage Florette pattern by Alfred Meakin (backstamp included) is a large red floral on white ground. 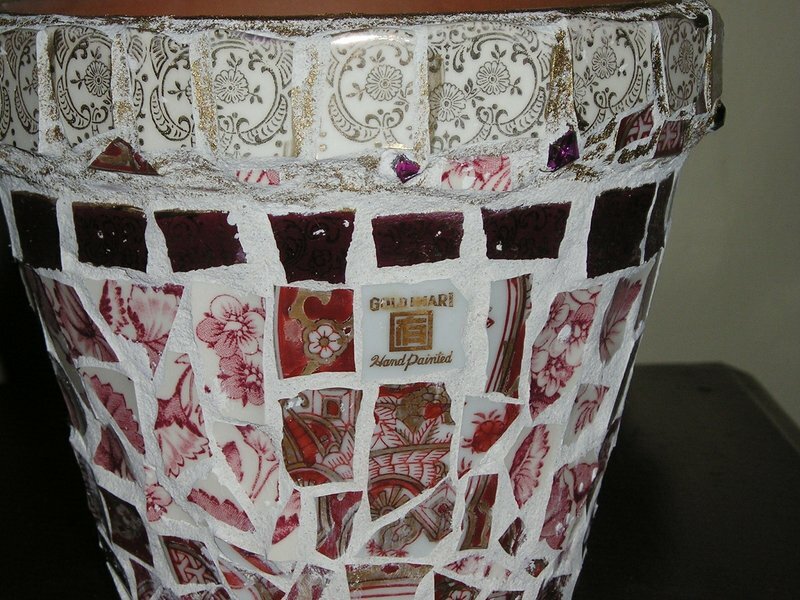 It is paired with an antique Japanese red Gold Imari pattern (backstamp included) and a vintage American Salem Century red china. 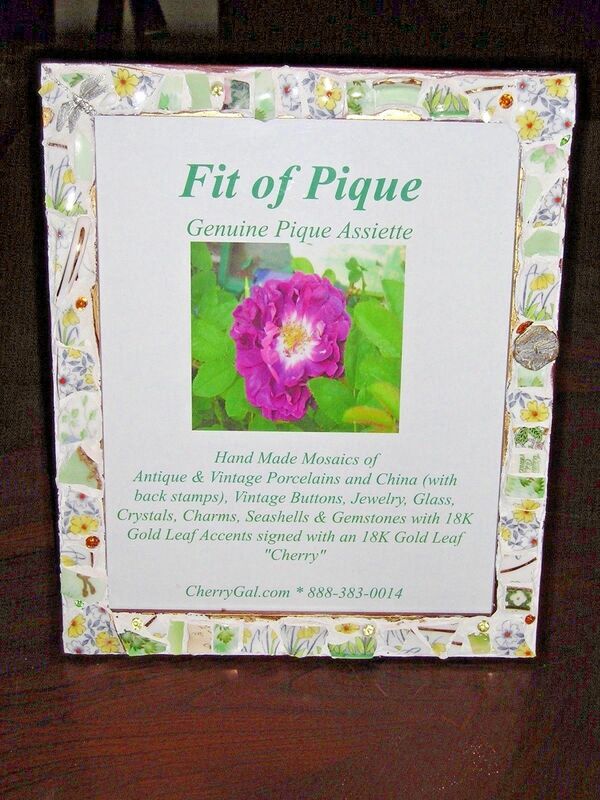 A Victorian brass pendant with 3 rhinestones sits above the Florette backstamp. The pot is hand brushed with18K gold leaf on the rim. 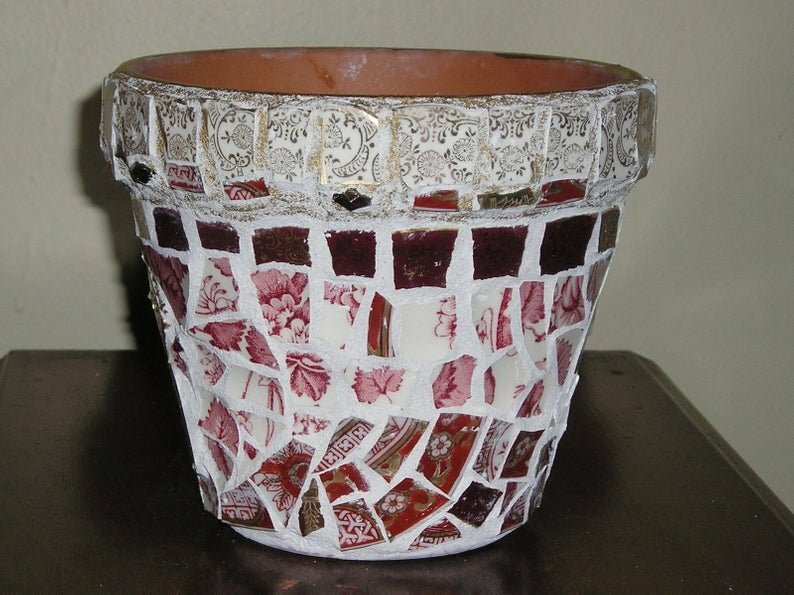 As with all Fit Of Pique pot, the grouting has been treated so that it can be outside without discoloring or mildewing. The pot has a drainage hole. Measures 5.25"H x 6.25" across the top. 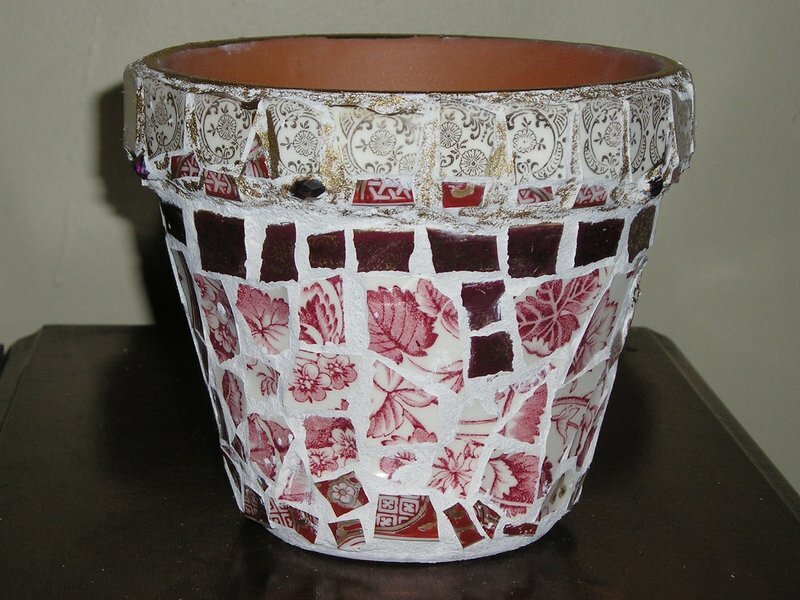 I can see this pot beautifully displaying a Lipstick Vine, for example! 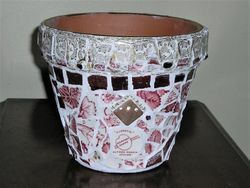 Fit Of Pique MAYTIME PHOENIX Hand Made Mosaic Terra Cotta Garden Pot 6"